Push Rams are quickly installed on the Hevi-Haul HM-50 Bi-Directional Skates without any modification or welding for X axis or Y axis moves. A 3" Bore, 3' Stroke hydraulic cylinder attaches directly to the Skate by means of a U-bracket that is placed around it and secured with a bolted backbar. 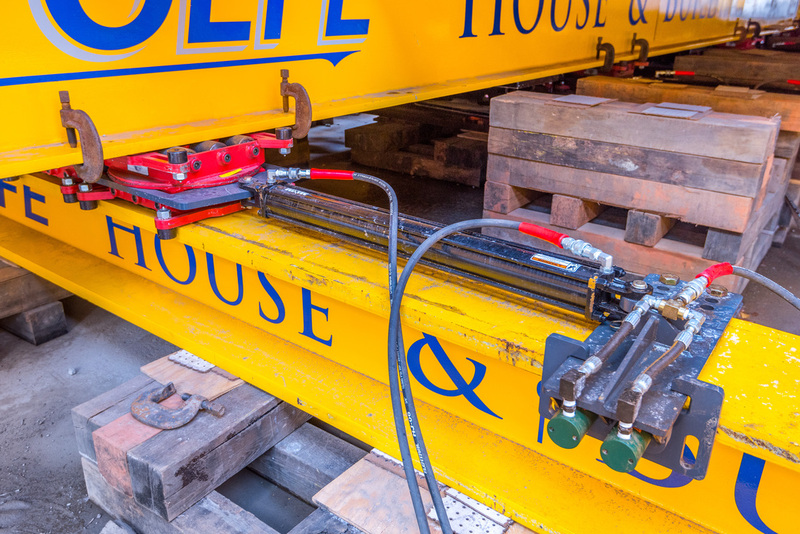 The Beam Clamp features an adjustable hydraulic clamping system that adjusts to fit 12" to 14" beams. 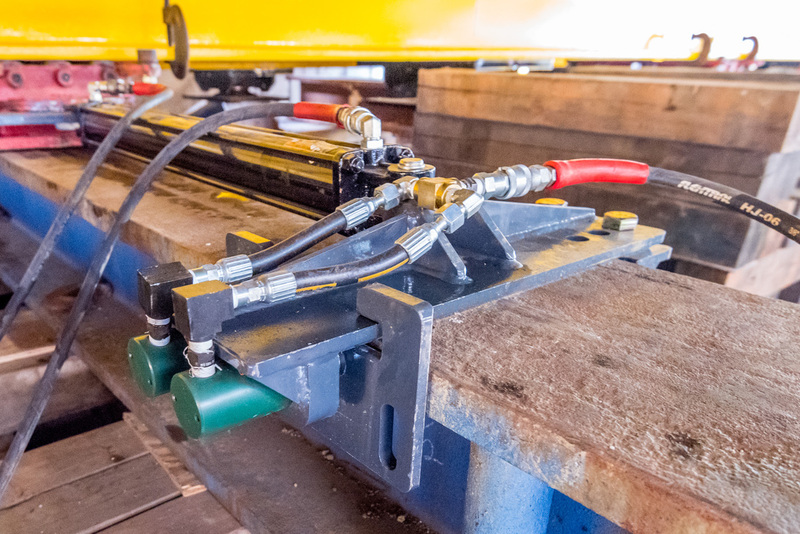 Two 2-1/8" stroke 10,000 PSI clamp cylinders allow the Push Ram to be quickly and easily hydraulically clamped, extended, then unclamped and returned for the next extension. Cam rollers may be installed to hold the beam clamp on the underside of a beam. 195 lbs. Other ram sizes are available upon request. A building is side-shifted with X/Y Skates and the Buckingham Push Ram System. For joining together two roll beams. 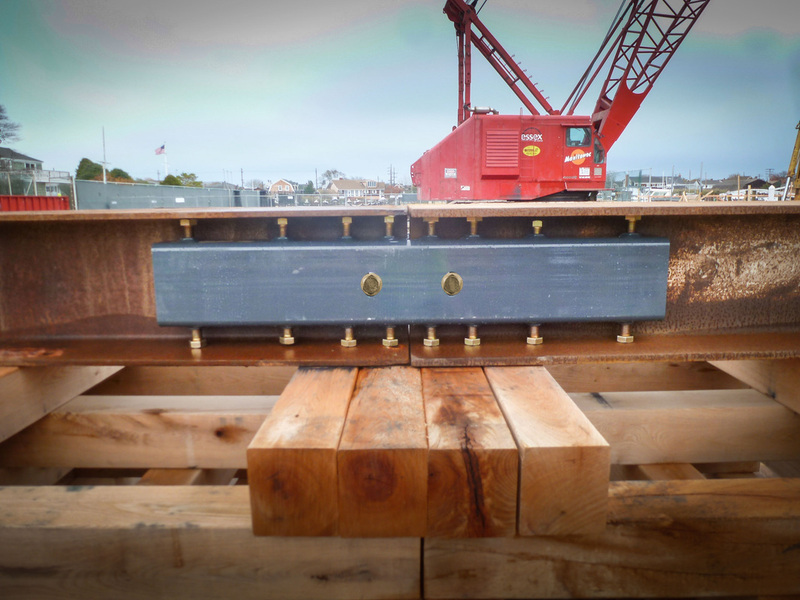 Beams can vary in size as splice tubes are adjustable so that the tops of the beams are in alignment. 3"x6"x48" Roll Beam Splice Tube to fit an 8-1/8" to 14" Beam. 83 lbs. 4"x8"x48" Roll Beam Splice Tube to fit a 10-1/8" to 16-1/2" Beam. 129 lbs.